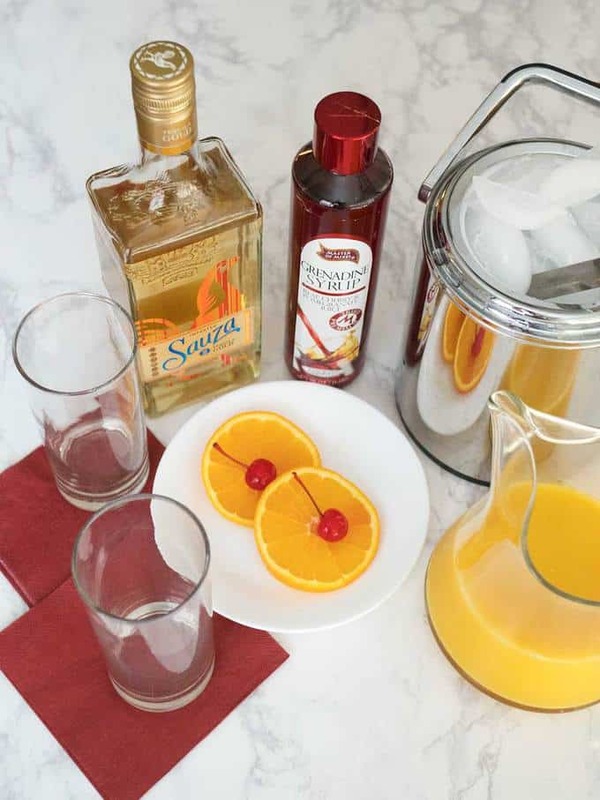 Tequila Sunrise is a classic cocktail that’s as tasty to imbibe as it is pretty to look at. It only contains three basic ingredients and is perfect for your Cinco de Mayo celebration. I used the following ingredients: Tequila, freshly squeezed orange juice, and grenadine syrup. As a side note, I’ve also made this with vodka. Making this classic drink was a snap. I combined the tequila with the orange juice in a glass containing some ice. Then, I carefully added the grenadine so that it would sink to the bottom of the glass. I added a piece of sliced orange and a maraschino cherry for garnish, and Olé – a Tequila Sunrise. Yum! Fill glass with ice. Add tequila and orange juice. Slowly add grenadine, allowing it to settle at the bottom of the glass.